The situation is tightening for persons crossing the Southern border of Spain (Frontera Sur) from Morocco. This week the police have arrested 10 migrants who crossed the Spanish border fence in July while last week the new Spanish Government expelled 116 persons within 24 hours. Ten of the 600 migrants who launched a coordinated action to cross Spain’s border fence with Morocco in July have been arrested on accusations of belonging to a criminal organization, causing criminal damage and attacking an officer of the law. The irregular crossing by predominantly Sub-Saharan Africans was one of the largest to date and according to police sources was conducted with an “unusual level of violence”. Moreover, 132 immigrants were injured and 12 of them had to be transferred to hospital with complicated injuries that required surgical intervention. On 22 August Pedro Sanchez’s administration expelled 116 persons within 24 hours by applying the 1992 Spanish- Moroccan readmission agreement. The Ministry of Interior has stated that they complied with all necessary legal and procedural safeguards. However, according to experts, 24 hours is not enough time to satisfy the safeguards foreseen in the Spanish Aliens Law. These include; identifying asylum seekers and unaccompanied minors, providing legal assistance and translators of African languages, issuing administrative decisions to the immigrants and providing information on the possibility of appealing them. The Government has decided to move forward on the appeal made by the former Popular government against the conviction for immediate expulsion at the Melilla border. The Grand Chamber will hold a hearing on 26 September 2018 before making a decision. 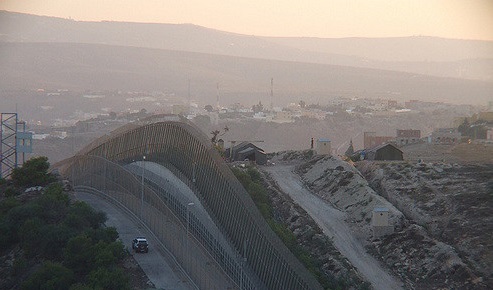 The expedited expulsion has sparked a wave of criticism from Amnesty International, NGOs and the Spanish Ombudsperson, that questions whether individualized assessments of cases have been performed and whether Morocco can be considered a safe country, or if expulsions violate the non-refoulement principle. Further, they call for the suspension of the Spanish-Moroccan agreement until it includes human rights safeguards, as well as for legal and safe pathways for Sub-Saharan people. According to the United Nations, arrivals to Spain increased 101% in 2017. The Spanish Ministry of Interior recorded 31,738 requests for international protection in 2017. Shelter capacity is inadequate, leaving many migrants to sleep in overcrowded centers, police stations and even on the decks of boats.